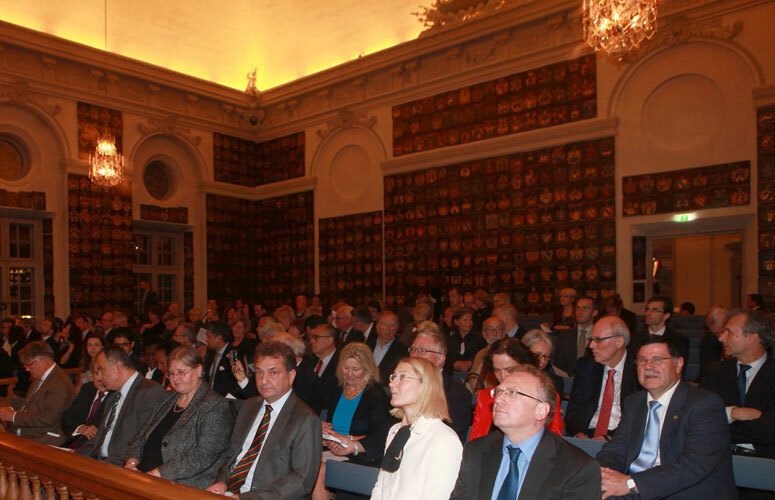 The Laureate 2014 was announced during a press conference Monday 10th of November at 10 A.M., at the Army Museum (Armémuseet), Riddargatan 13, Stockholm in “Vindsrummet” in the Eastern wing. Bejnanmin is born 31st of March 1953 and is a Achí Mayan community in Guateamala. He comes from peasant family who have been cultivating vegetables for their survival. The community was aware of the conflicts in the country, and they were part of every day life. Howver, they managed to survive because they were civilians, and not belligerent. One day, in the early 1980’ies, they became involontarily involved in the conflict, beacuase the army and the para-militarians begun to target the civilians and this is when the hundreds of massacres of innocent, defenseless, Mayan civilians begun. On the 18 of June, 1982, the soldiers came to his village, Pland de Sanchez, in the mountains on the highlands of Guatamala. Benjamín and his brother managed to escape and were hiding in the edge of the forrest for many hours. They were wittnessing the soldiers killing his family, his neighbours, his whole community, 75 meters away from them.The soldiers came by lunch to Plan de Sanchez, and they ordered the villagers to pack themselves together in Benjamín sister’s house. The women who were carrying small children on their backs were forced to leave them on the court yard and the girls between 12 and 18 were forced in to another house. Five o’clock later that day, the soldiers started to shoot in Benjamíns sister’s house. Not until eleven o’clock in the evening the guns went quiet. People were still alive by then and the small children were running around in the courtyard screaming. The soldiers threw gasoline on the house and then put it on fire. Then they grabbed the children in their little legs, hammering them hard against the ground and threw them into the fire. Afterwards, the soldiers went to the house where all the women were locked up. They brought them out, one and one, and raped them, tortured them, and finally murdered them brutally. Benjamin and his brother could hear the screams and breath the smell. Finally, they managed to escape up in the mountains during the night the very same day and returned to the village next morning by eight. Upon their return, some of the people in the house were left with body parts outside the house and were still alive. They wined, they suffered, however, they died very soon as well. Among the dead was Benjamin’s wife and 14 other relatives. Only 20 villagers survived this terrible day, this inhuman massacre, where 256 persons were tortured to death. 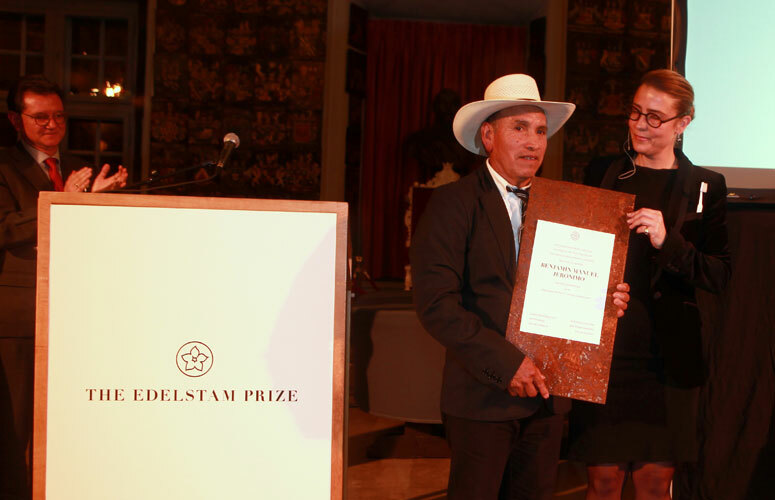 Benjamín has fought for his family and his neighbours in the village and is the former President of and has been working for the ”Associacion for Justice and Reconcilation,” (AJR) an organisation working for collecting tesminonies and building the case for prosecution of General Montt. AJR was created in 2000 by men and women of 22 communities, witnesses of 23 massacres, with the purpose of receiving recognition for human rights and to inforce the rights of the victims of the internal armed conflict to spread the historic truth of the facts that happened against the indeginous population. AJR is represented in five regions in those which most of the 623 massacres were committed. 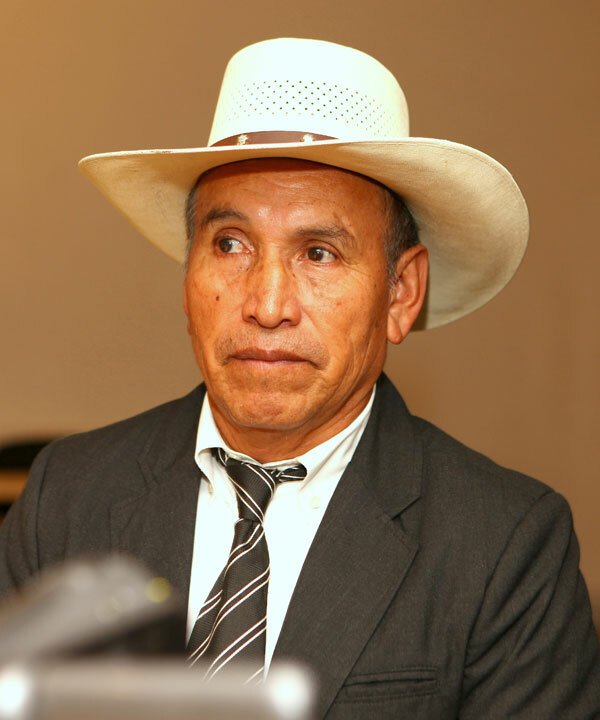 Benjamín has been the legal consellor for the 98 persons who survived from the Ixil area that wittnessed against the General and Dictator, Efraín Rios Montt, in the trial that took place in the spring of 2013, for a 80 years sentence in prison, accountable of genocide hold quilty for 11 massacres out of the 623 actual. Efraín Rios Montt took power and took over the presidency of Guatamela in March 1982 until August 1993, when he was defeated by the Dictator Mejía Victores. This is the same time as the massacre occured. Many people was living under constant fear for their lives, and had to hide every night. Ríos Montt was convicted to 80 years in prison, at the age of 87. But as many times before in Guatemala, the country’s political-economic elites worked against justice. The people high up in society’s hierachy has historically managed to escape justice. In May this year, the Constitutional Court declared that the procedure had been wrong and part of the trial has to be repeated. Actually, the complete trial has most probably to start over again because the Judges who took part in the first trial and pronounced the judgment won’t be permitted to try again the same case. Consequently, the trial must be reinitiated in January 2015, before the same High Risk Court, but with different Judges. The civil war in Guatemala lasted for 36 years. More than 200,000 persons were killed; most of them (93%) were victims of the country’s military and paramilitary forces. “Benjamín Manuel Jerónimo is a Mayan from Guatemala. Mayan communities, in spite of being the majority of the population, have been exploited, discriminated, and victimized in their own homeland for centuries. The worst period came between 1960 and 1996: egregious abuses of human rights were perpetrated in Guatemala during the internal armed conflict. According to the CEH (UN backed Truth Commission) 200,000 civilians were murdered and 50,000 forcefully disappeared. Most of them, 83%, were defenseless indigenous Mayans, being 93% of the abuses caused by the State. After the signature of the Peace Agreements, nobody was made accountable for these heinous crimes.